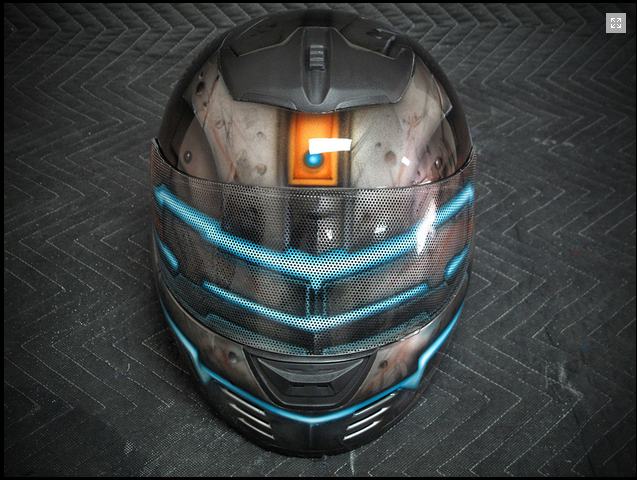 While we still haven't developed Issac's Resource Integration Gear, this helmet at least lets you look like you're wearing one. 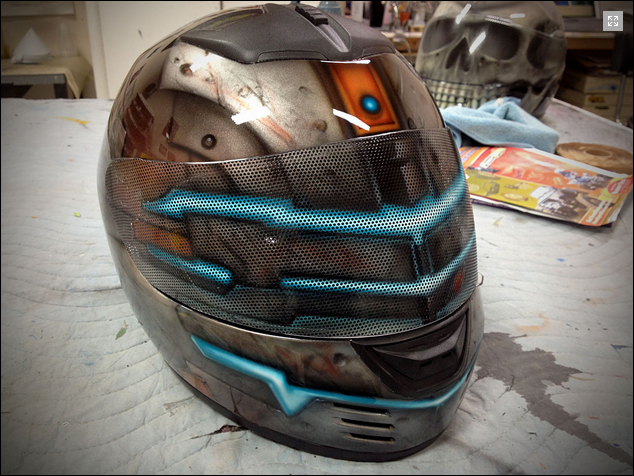 Custom motorbike helmet designer Xtreme Kreations has put together this sweet, custom Dead Space helmet. 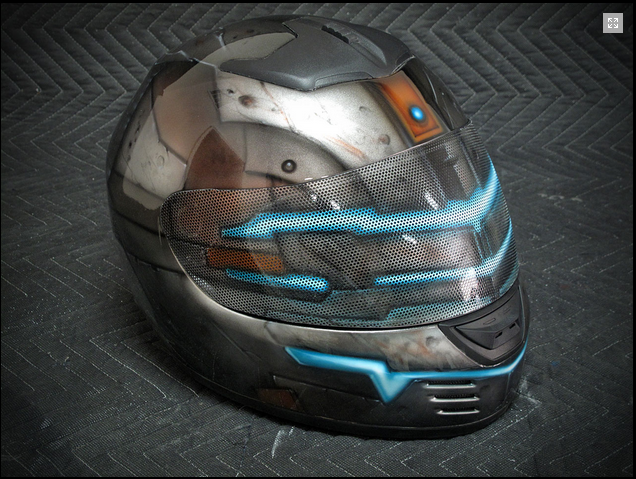 While we still might be a while off developing a working Resource Integration Gear, this helmet should at least let Dead Space fans ride in style. 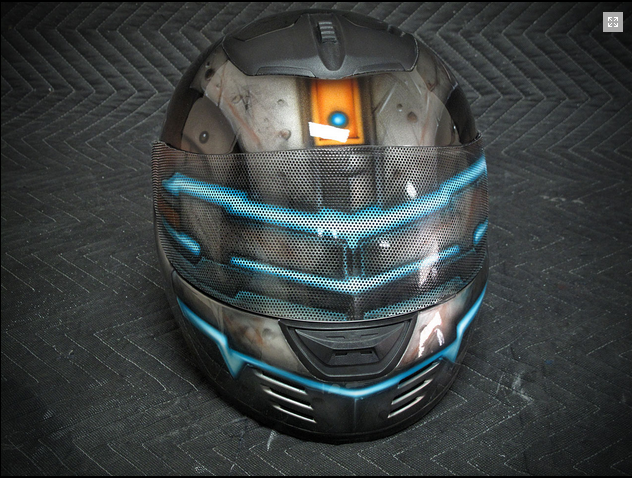 The design is made with vinyl graphics, and the shield is perforated so that you can actually see out of the thing. 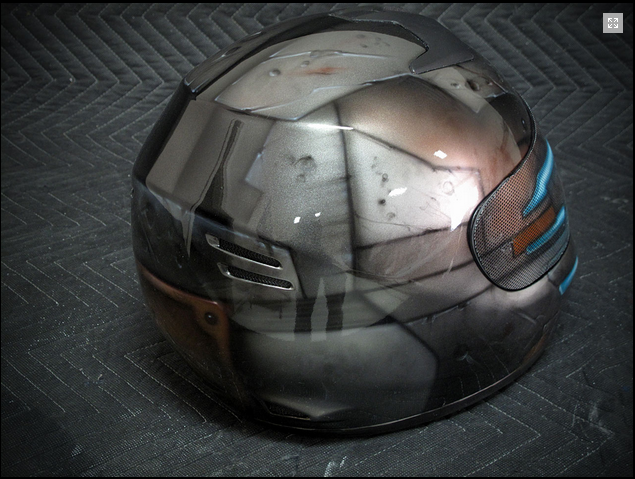 If you're a biker looking for a sweet helmet but aren't a Dead Space fan, Xtreme Kreations offers a wide range of pop culture inspired helmets, such as Boba Fett, Alien, Predator and Spiderman. They also take requests! Check them out here.